Located in beautiful Bradford Park Subdivision in Harrisburg, NC with large, private wooded lots, pool and tennis courts. 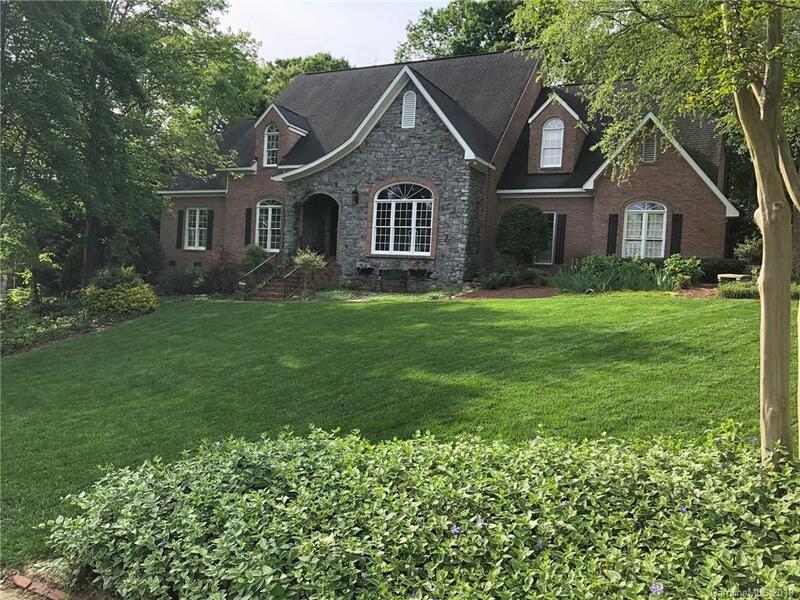 Architecturally designed European Country style Stone and Brick home on 1/2 acre with 2 1/2 car garage. Stunning outdoor living area at back of house features covered patio with fans leading to a flagstone expansive patio with wood burning fireplace and grill island. (Fireplace has live gas flame starter for wood and grill island offers natural gas hookup for gas grill). Updated features include - granite countertops, travertine backsplash, old world style lighting and faucet in kitchen. Updated roof, all AC units, furnace, new carpeting on 2nd floor, new gutters, with leaf guard, new vinyl faciaboard siding and eaves. Tankless water heater, new carriage style garage door, sprinkler system maintains the professionally landscaped lot. All repainted interiors and exterior window trims. Low Cabarrus County taxes and desirable Cabarrus County School system.